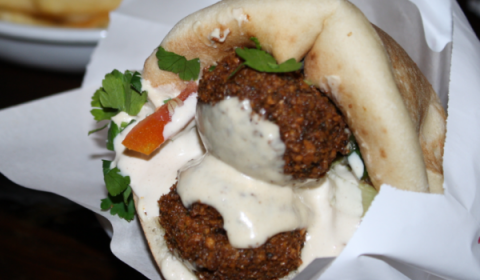 In 2012, Tablet Magazine noticed Tel Aviv was looking to cater for vegans as part of it’s culinary diversity and has now become the top destination of vegan travellers and holidaymakers. More and more Israeli’s are becoming vegans in an attempt to eat a more nutritious and healthy diet, packed full of fresh fruit, vegetables, pulses nuts and grains, yet still wishing to enjoy the culture of eating out. 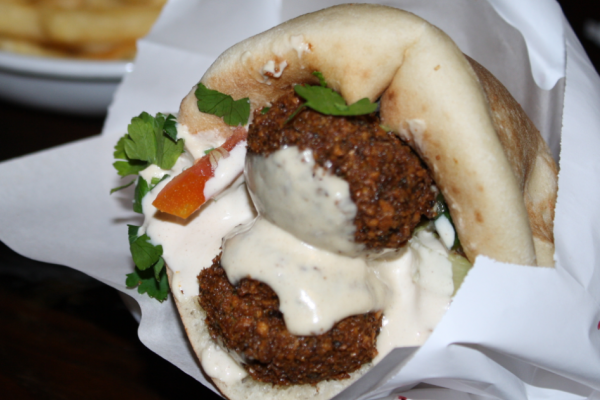 Israel’s national dish of falafel with tahini and salad in pitta found on every street corner is a delight for all vegan’s and now Tel Aviv has become famous for its vegan cafes and restaurants, including Domino’s, serving a vegan pizza. A year ago, Nanuchka opened it’s doors as a vegan Georgian restaurant and with excellent reviews, has become a thriving restaurant for all lovers of good food, vegan or otherwise…. Next Postthe food of love…..